The cutest boutique CIDERY ever! 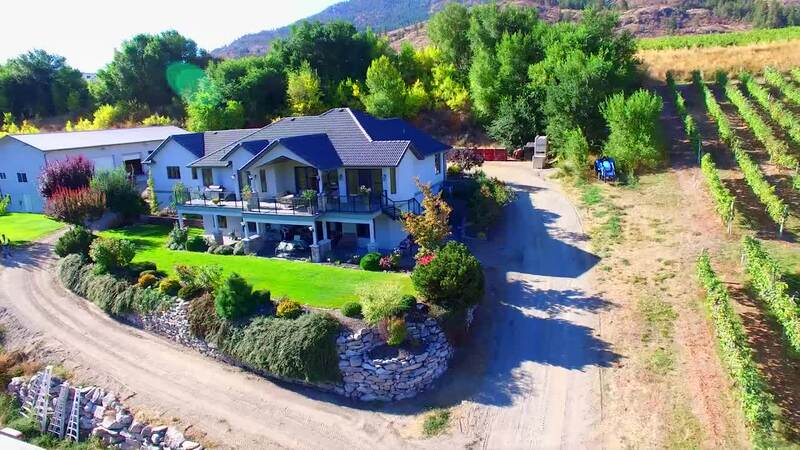 Located off Hwy 97 in the beautiful South Okanagan Valley 5 minutes from OSOYOOS. The Faustino Estate Cidery is very unique, sitting on 6.2 acres with all the fruit for the Cider making at your fingertips - Apples, Pears, Cherries and Peaches. A sustainable family farm, from tree to bottle. Also includes a distillery, cold storage, a huge storage shed for the cider and a cozy one bedroom guest suite (with full kitchen) separate from the approximate 4,000 square foot gorgeous mountain view home. Includes all cider making and farm equipment. Triplicate Listing #169155 - Farm & #169156 - Single Family.